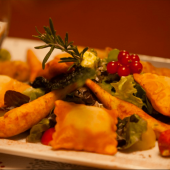 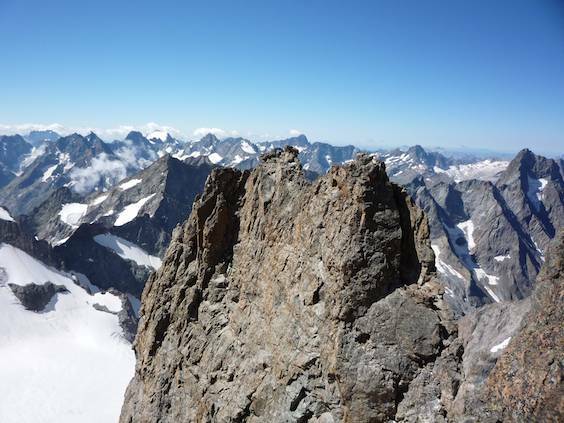 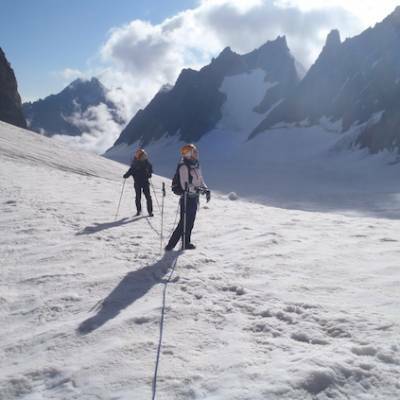 Mountaineering officially became a sport in 1492 with the ascent of Mont Aiguille in the French Alps. 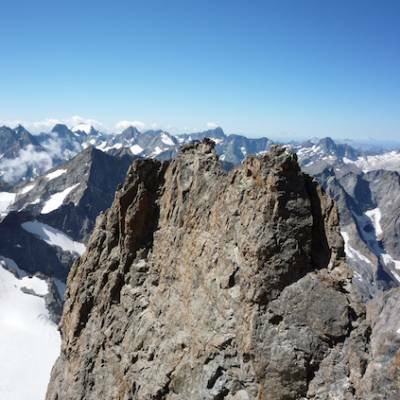 This was the first recorded time a mountain was climbed for the sole purpose of reaching it's summit! 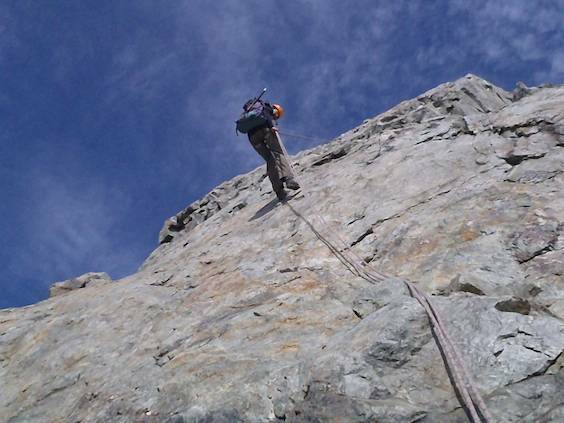 Since then the sport has evolved somewhat and hobnail boots have been replaced with modern equipment and climbing techniques making the mountains more and more accessible to all. 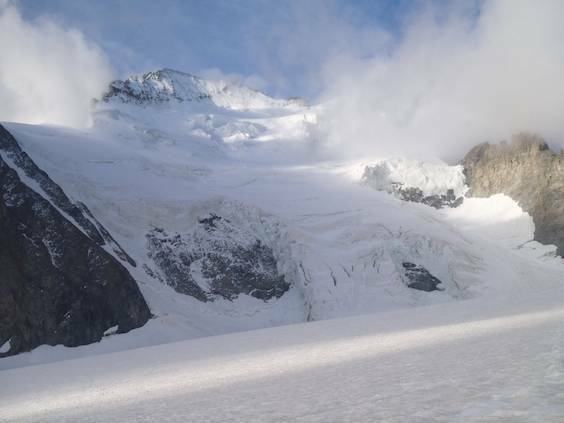 The hazards of the high mountian environment are very real with avalanches, rock fall, crevasses, cold and severe weather to name just a few! 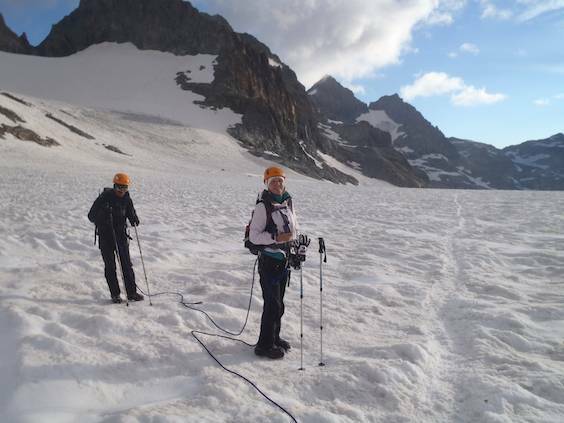 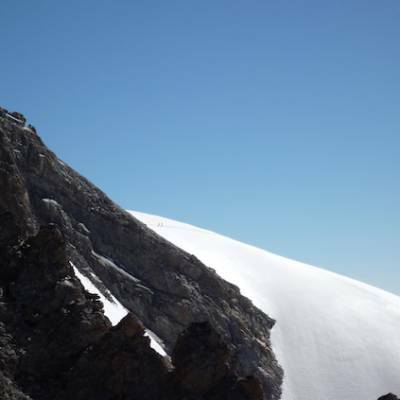 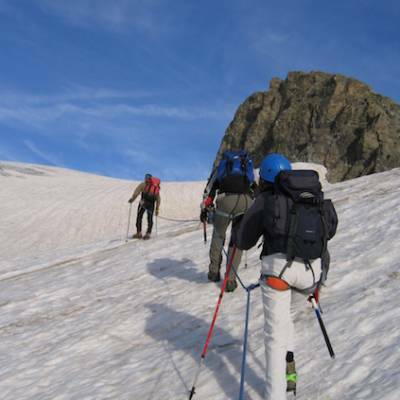 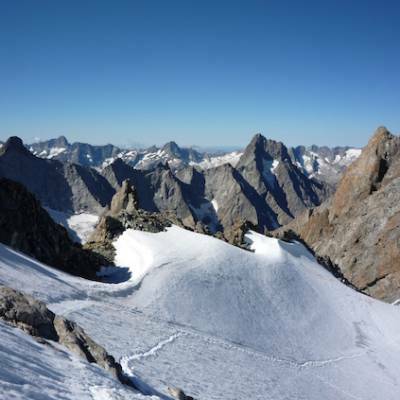 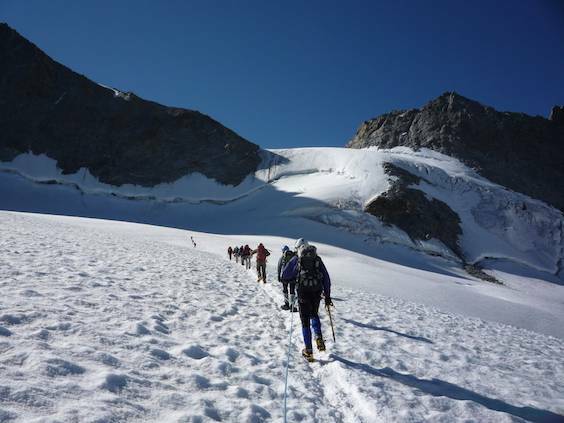 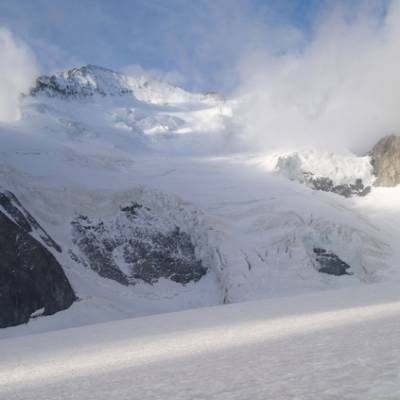 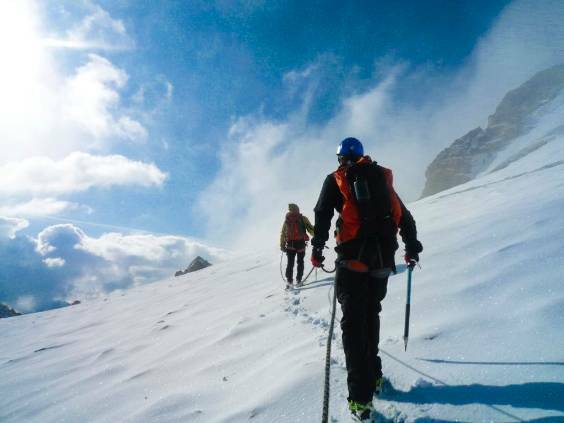 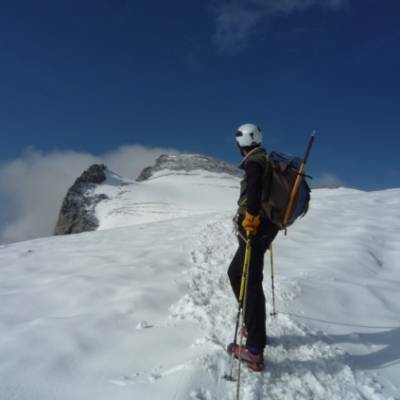 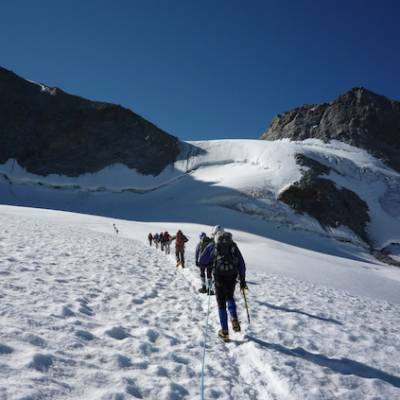 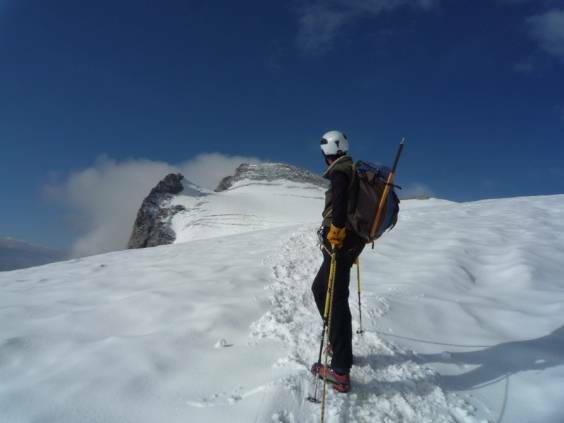 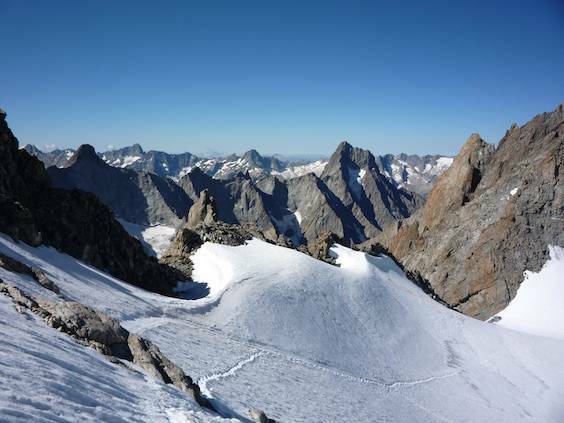 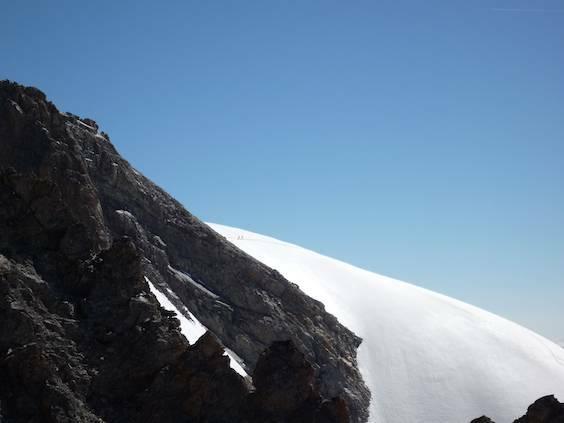 A thorough knowledge of mountaineering safety techniques, an understanding of the the behaviour of snow, rock and glaciers and experience of the mountains are vital for safe mountaineering. 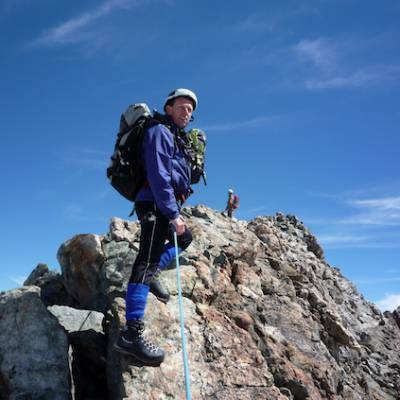 It isn't recommended to go into the high mountains without a high mountain guide unless you are a competent alpinist or mountaineer. 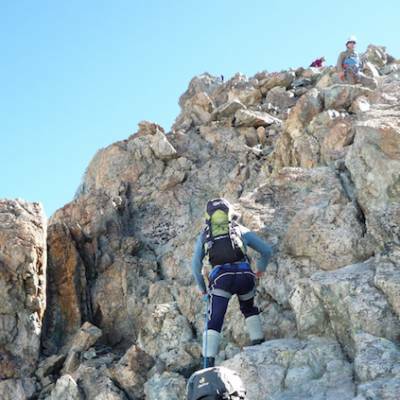 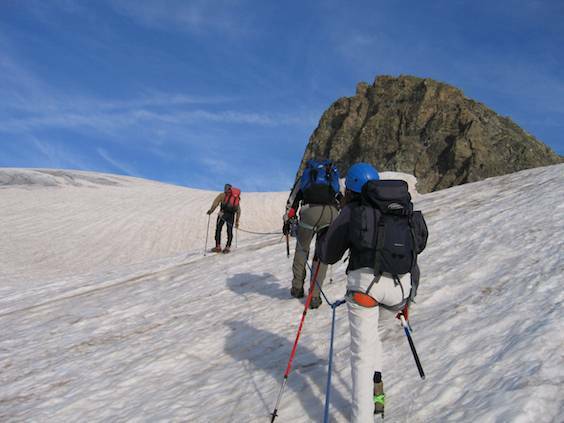 Going with a guide doesn't exempt you from the dangers of the mountains, but their experience, technical skils and knowledge are a significant advantage even for experienced mountaineers! 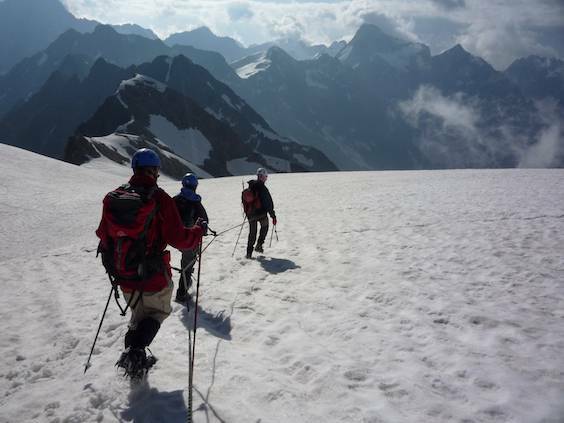 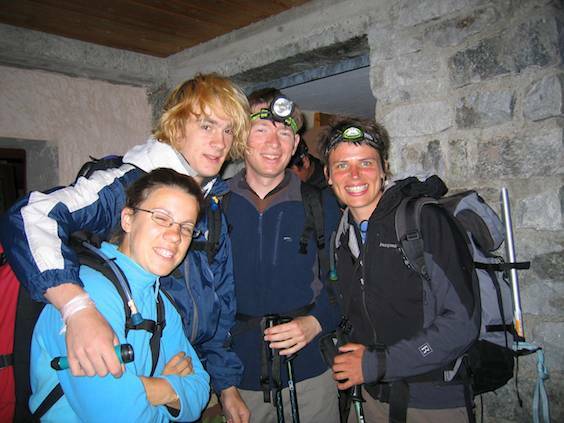 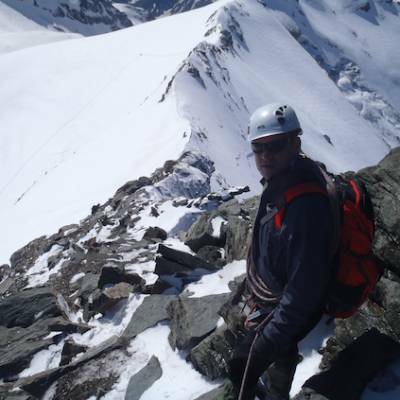 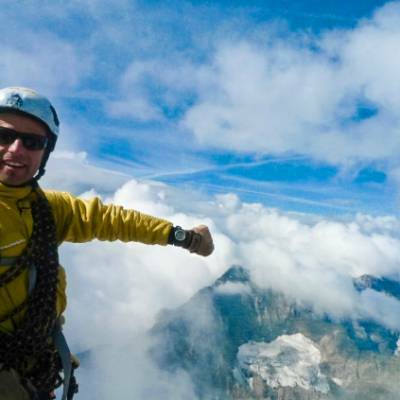 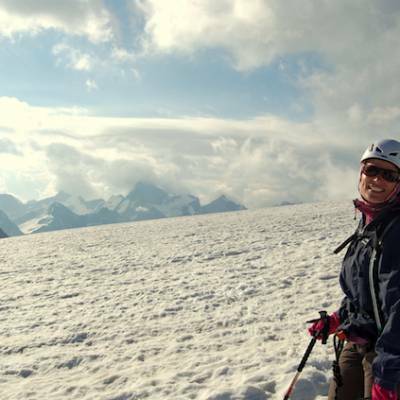 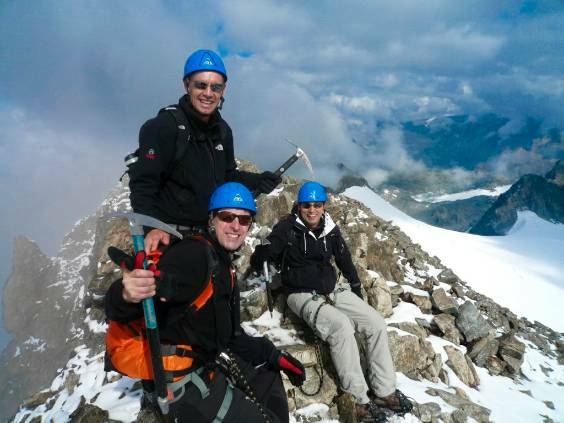 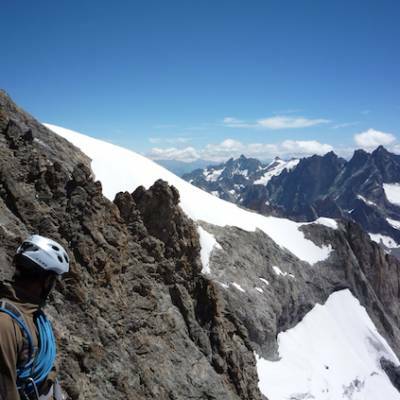 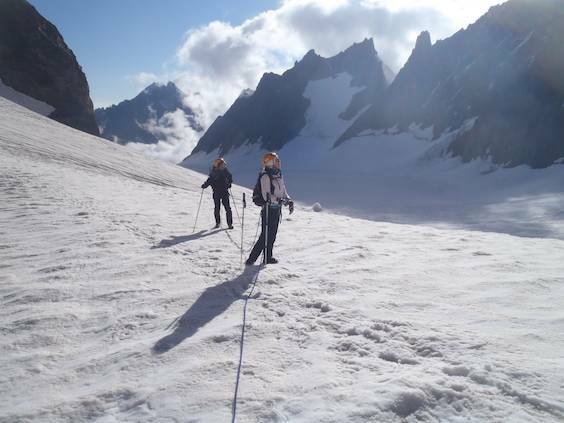 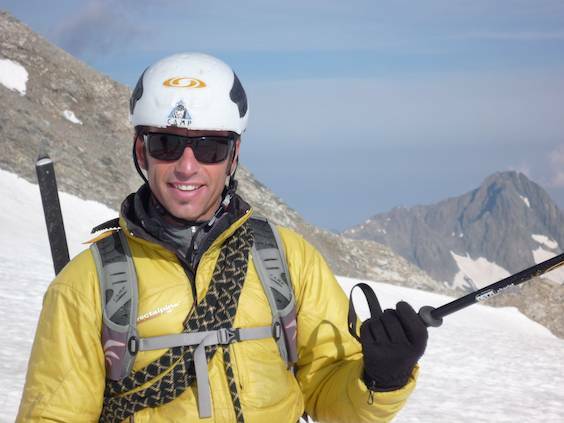 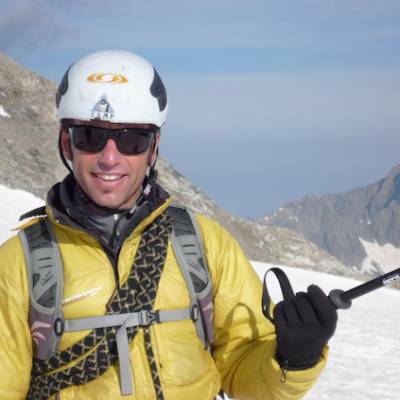 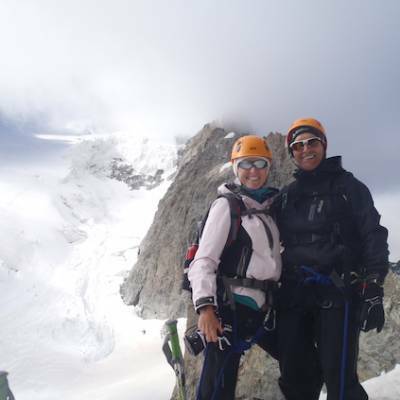 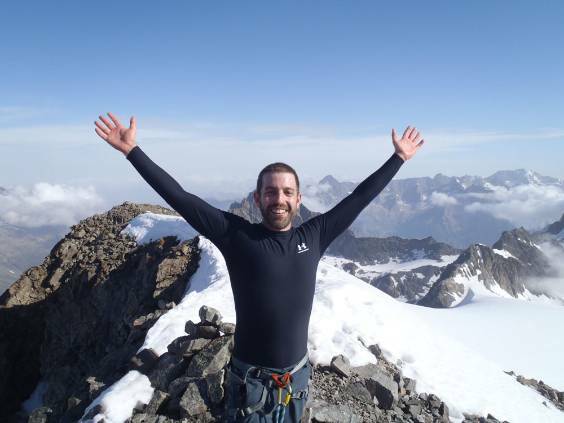 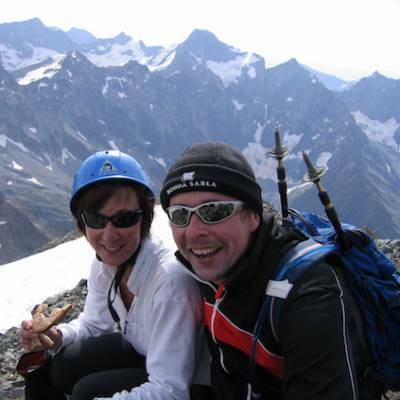 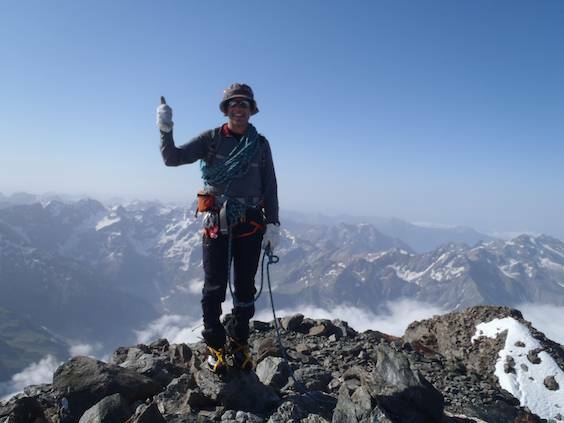 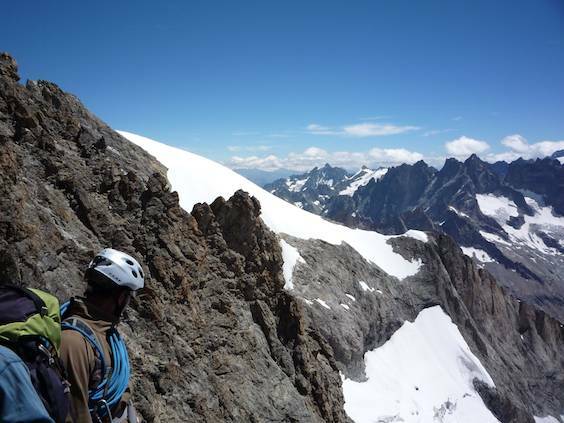 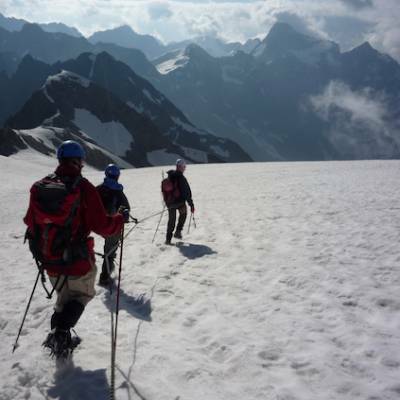 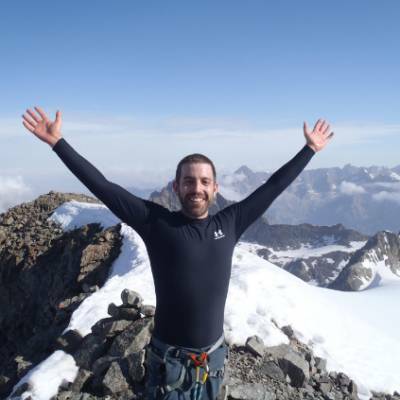 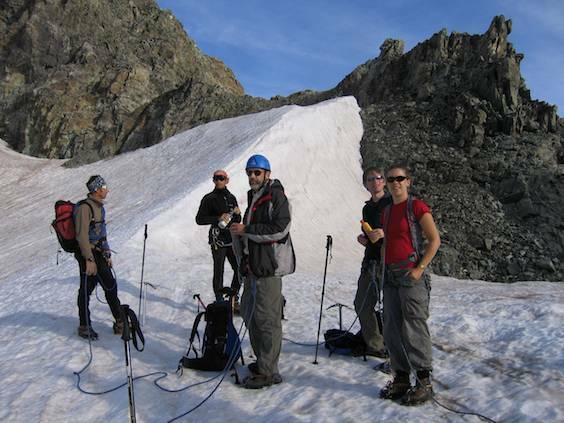 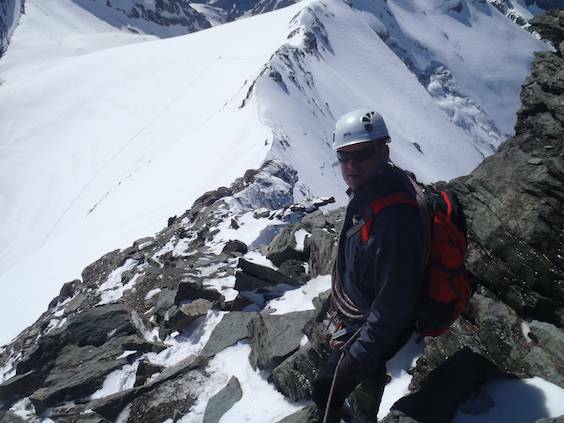 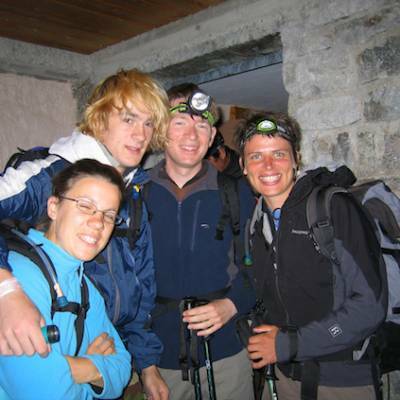 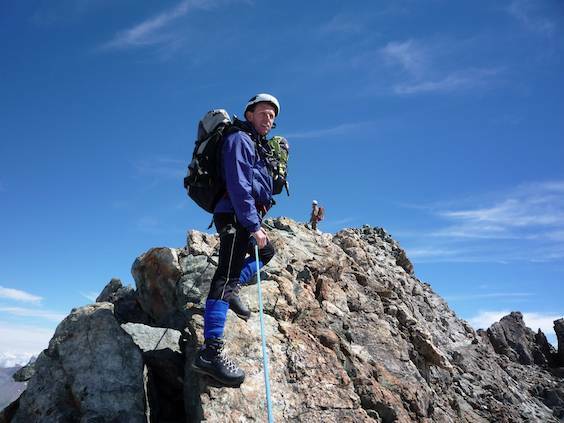 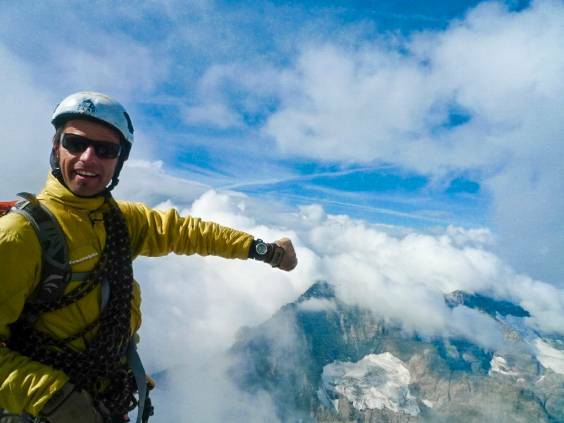 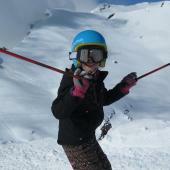 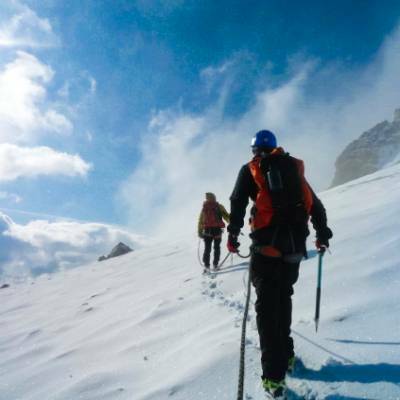 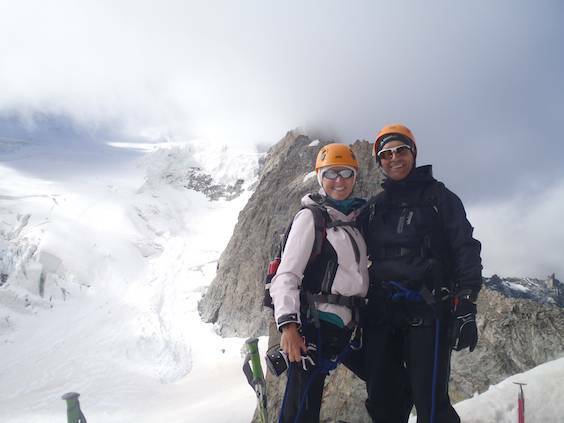 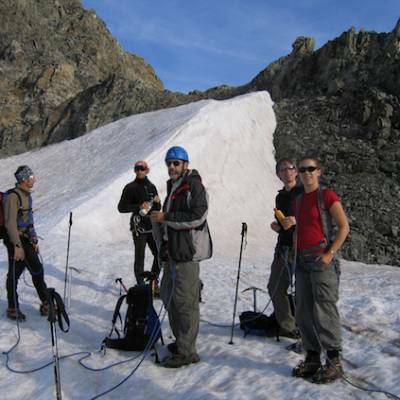 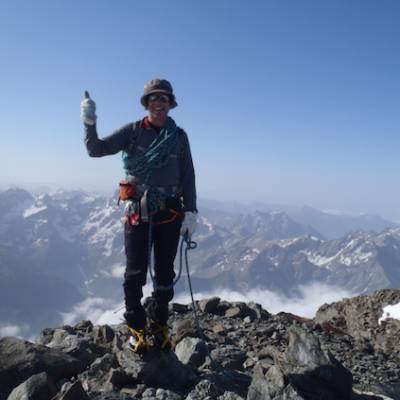 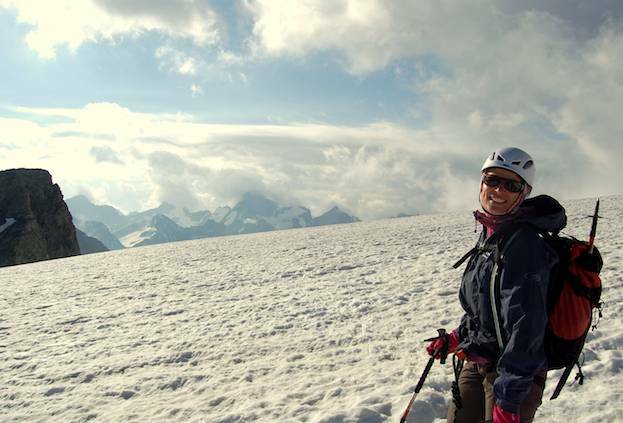 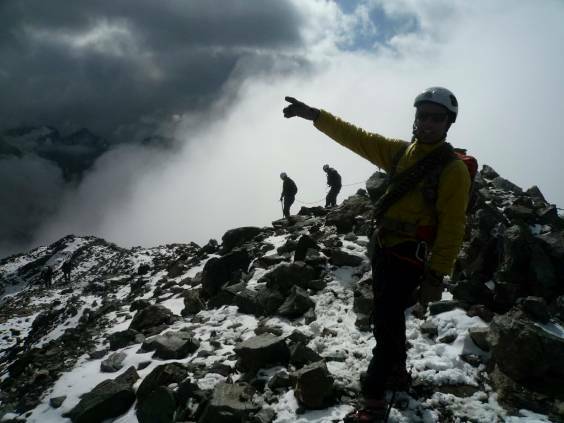 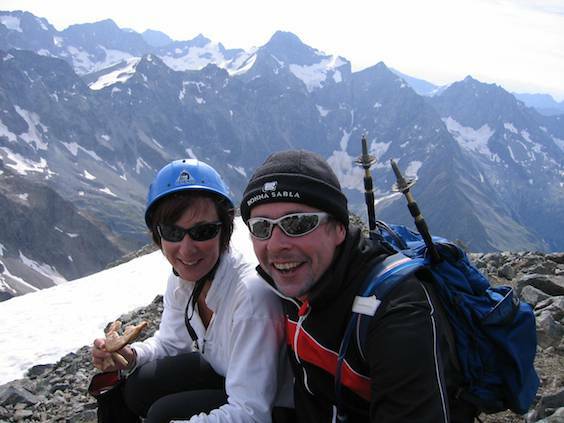 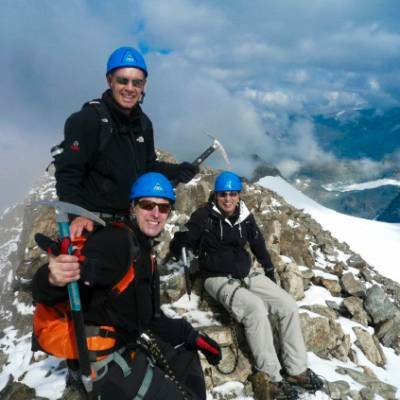 All our guides are fully qualified and experienced UIAGM high mountain guides from the area. 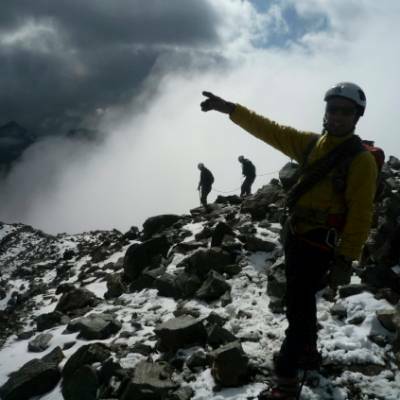 They will make your safety their priority as well as making sure you make the most of the area and enjoy the mountains. 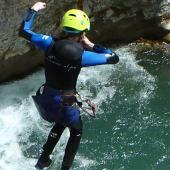 AD: Assez Difficile/fairly hard. 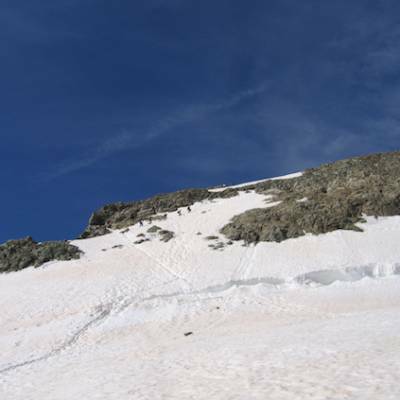 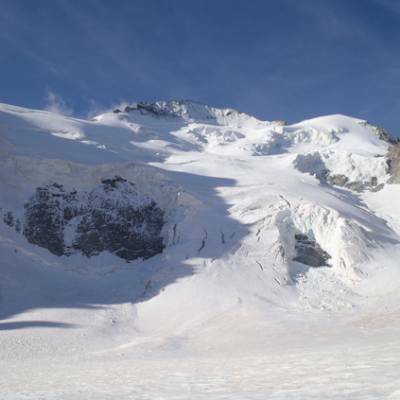 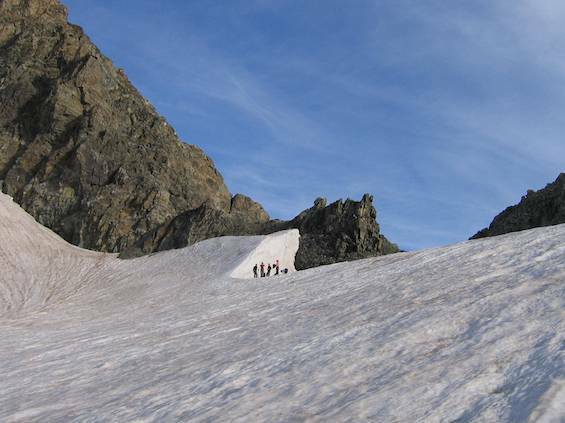 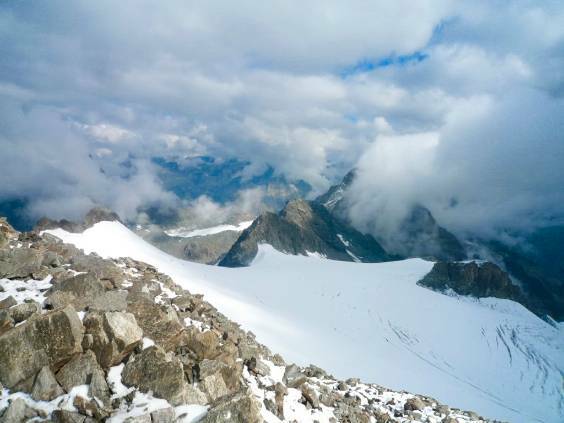 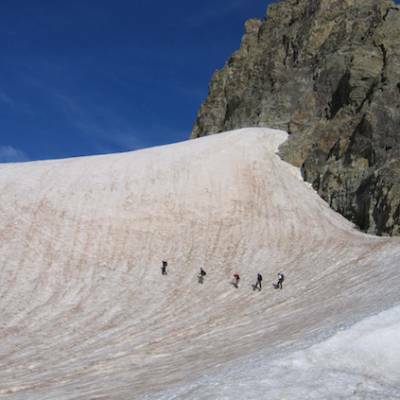 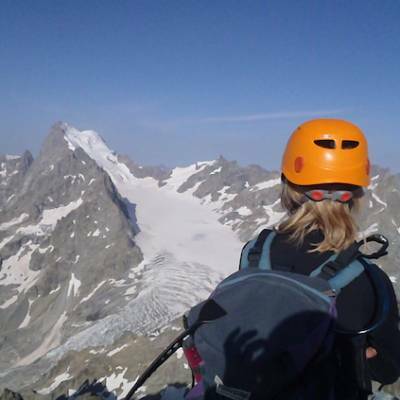 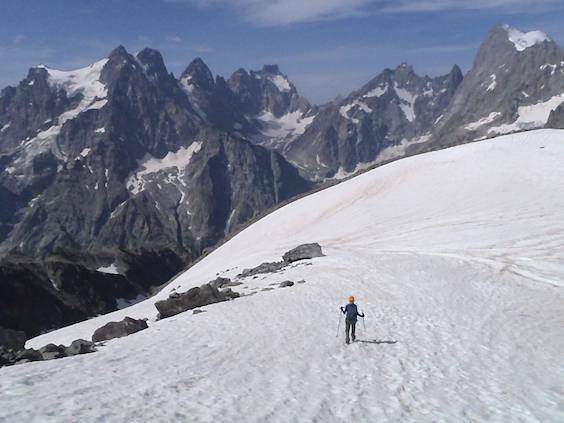 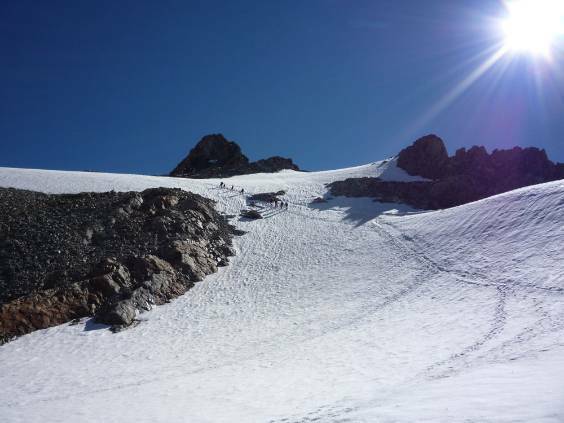 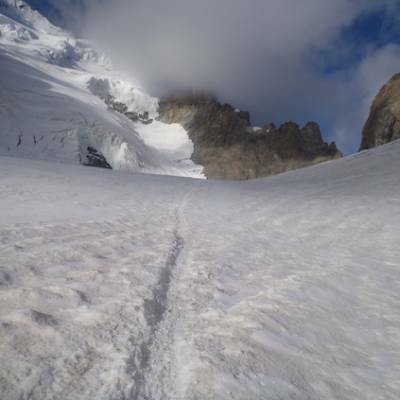 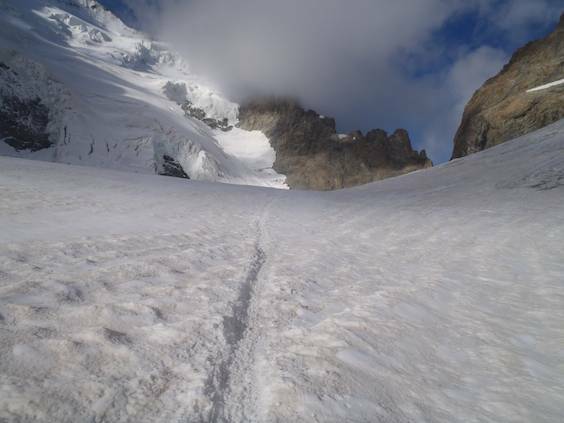 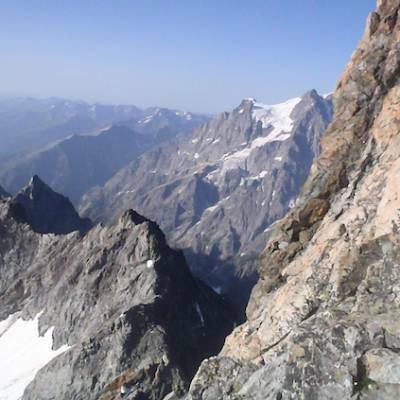 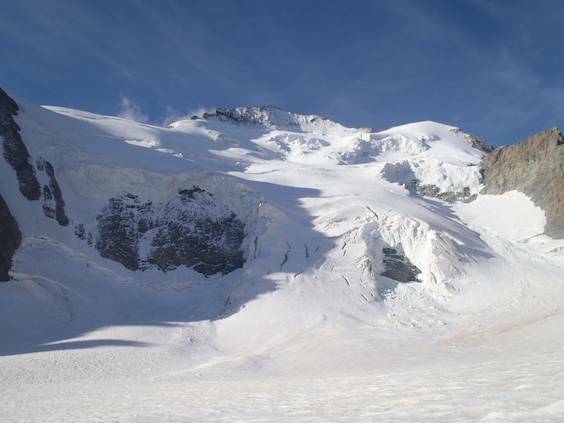 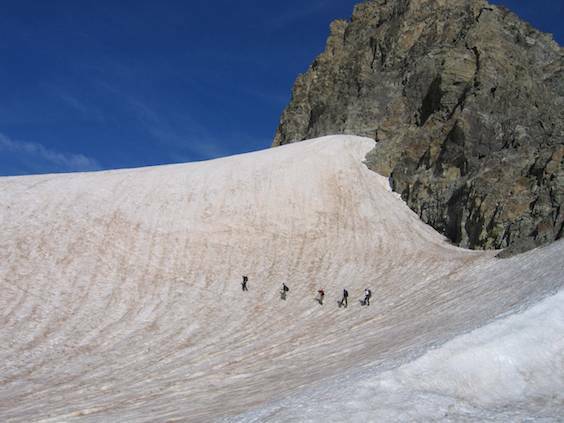 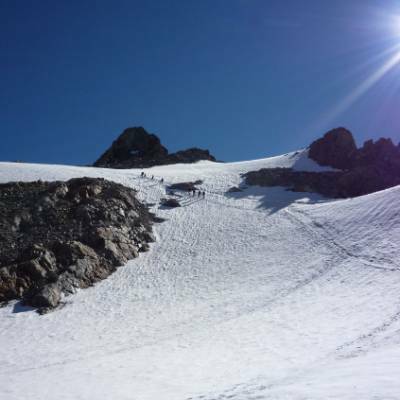 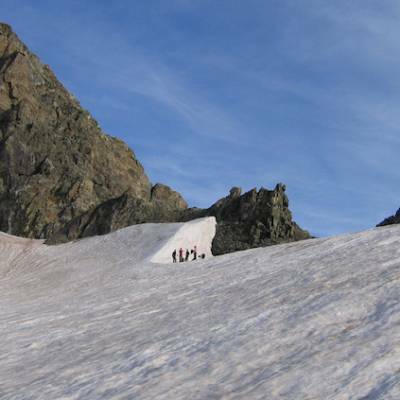 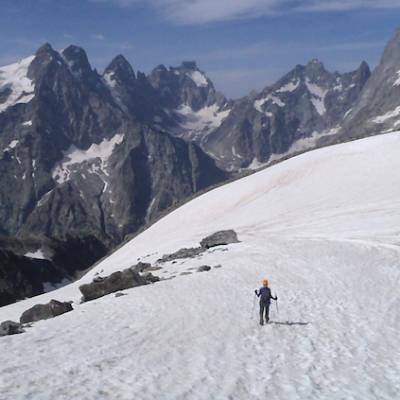 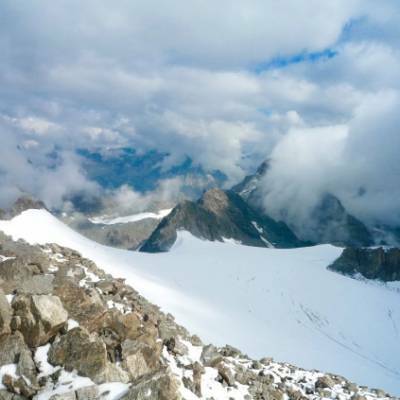 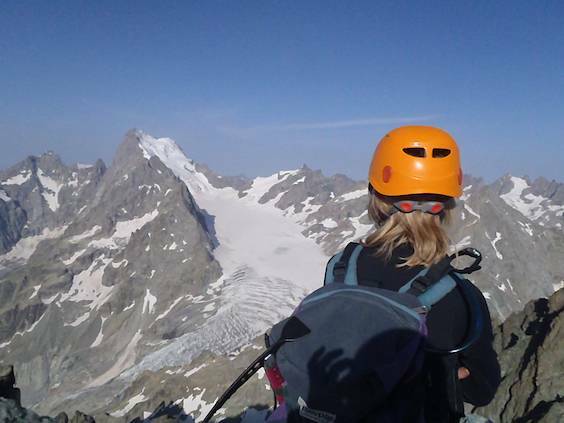 Steep climbing or long snow/ice slopes above 50%; for experienced alpine climbers only. 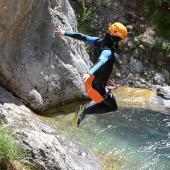 TD: Tres Difficile/very difficult. 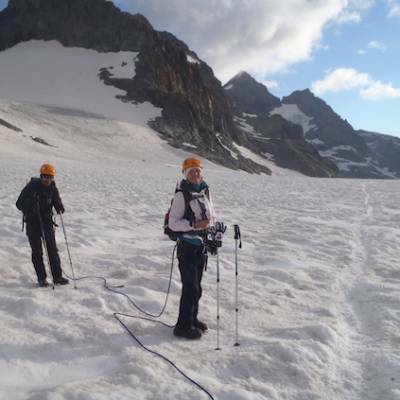 Long, serious, remote, and highly technical. 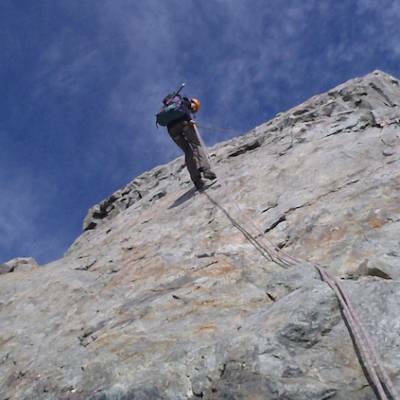 ED: Extremement Difficile/extremely difficult. 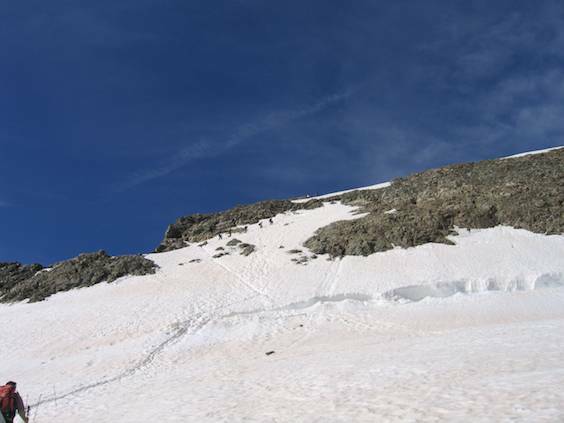 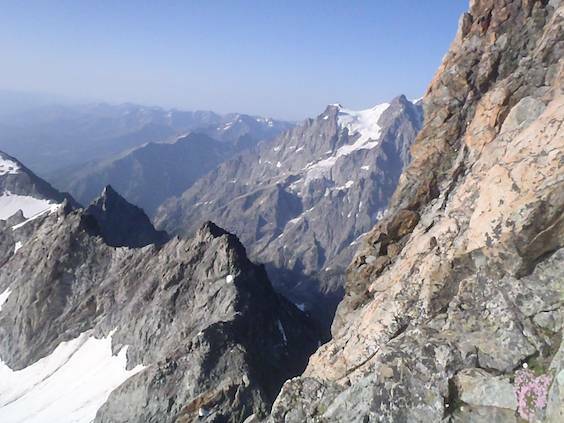 The most serious climbs with the most continuous difficulties. 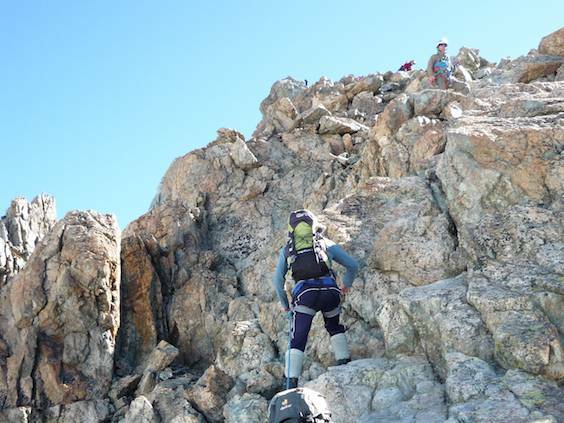 Increasing levels of difficulty.